Hardcover, 9 x 11 in. / 128 pgs / illustrated throughout. 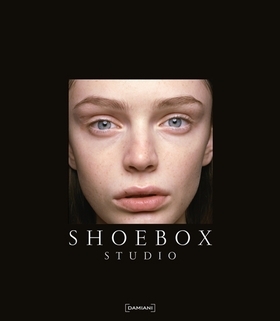 Shoebox Studio records a moment in a fashion model’s career that is rarely seen by a wider public: the model’s first “getting-acquainted” photoshoot, in which no attempt is made to beautify or exaggerate her face, pose or expression. Having produced photo campaigns for some of the world’s premier beauty clients (Lancôme, L’Oréal, Revlon), French photographer and painter Stéphane Coutelle is ideally placed to make these portraits of vulnerability and aspiration: his Shoebox Studio sees an unending parade of young women, newly arrived from all over the world and pursuing their first career. His first meeting with a model aims to establish their character and psychology, before professional reflexes take hold, and before complicity is established between photographer and model. Shoebox Studio gathers portraits of aspiring models taken between 2006 and 2010. FORMAT: Hbk, 9 x 11 in. / 128 pgs / illustrated throughout.